Due to demand, TALK ULTRA has now been added to STITCHER. Get the freshest episodes of your favorite podcasts and radio shows streamed directly to your smartphone or iPad – no downloading or syncing. 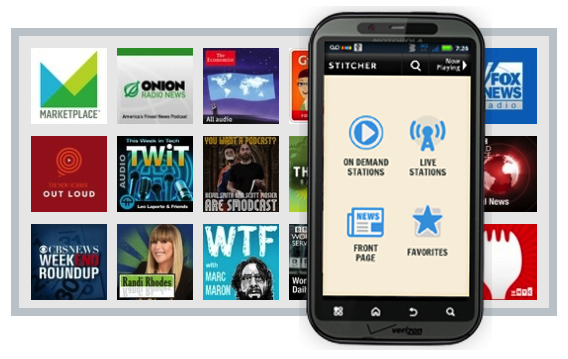 From NPR’s Fresh Air to Adam Carolla, WNYC’s Radiolab to the Wall Street Journal , Rush Limbaugh to Rachel Maddow and more, Stitcher organizes and delivers the world of talk radio fresh daily. Listen whenever and wherever you want. This entry was posted in Uncategorized and tagged ifs, Mountain, mountain ultra trail, must, Podcast, Running, Sky, Skyrunning, stitcher, talk ultra on stitcher, trail, Ultra, ultra trail running, World Series by talkultra. Bookmark the permalink.